Now train travel all over India without having to go through the hassle of making railway reservations, and let us take over. 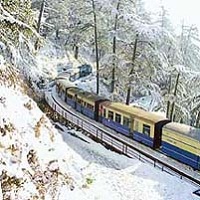 We are Soham Holidays, a reliable travel agent from Pune, Maharashtra that offers quick and dependable Railway Ticketing Services. Online booking procedures have made it very convenient for us to book the required railway tickets that comply with your dates, schedules and requirements. We can make these reservations for you well in advance so you do not have to face any kind of delay or inconvenience. We are, however, also adept at making the reservations under the â��tatkalâ�� quota. So get in touch with us to make your journey safe, smooth and comfortable.